Our beautifully furnished, fully equipped luxury cabins are ideal for honeymooners, families and adventurists. We have 5 three bedroom cabins. 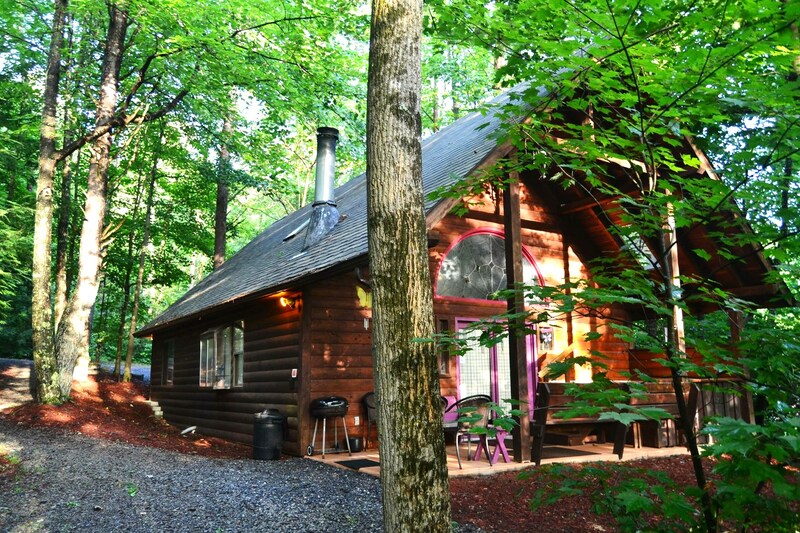 Each of our vacation cabins have fireplaces, fire-pits, picnic tables and private hot tubs. We are affordable and open year round. Each season brings its own set of experiences and adventures. Our cabins are just off US Rt 19 near Fayetteville, WV. We are located less than 2 miles from the famous New River Gorge Bridge. Our cabins are centrally located and just minutes away from all of the outdoor adventures such as whitewater rafting, kayaking, stand-up paddling, zip lining plus much, much more! Come visit with us, you may never want to leave!